There’s never been a more urgent need for comprehensive security and surveillance solutions. GeoVision Inc. has built its business on helping meet this need, providing digital and networked video surveillance solutions to customers in 110 countries. Headquartered in Taiwan, it’s one of the top security 30 companies in the world, manufacturing professional-grade digital video recorder (DVR) and network video recorder (NVR) systems, IP cameras, and an in-house developing video management system (VMS). To succeed in its highly competitive and fast-changing industry, GeoVision must always be on the lookout for ways to give its customers leading-edge performance. For the latest version of its GV-VMS* comprehensive video management system, that meant finding new ways to get the most out of its Intel® architecture-based hardware. 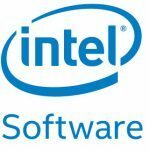 GeoVision is working closely with Intel to maximize the performance of the hardware using the tools and libraries in Intel® System Studio, a comprehensive tool suite for system, embedded, and IoT development. The result has been an impressive 24x performance gain for its deep learning algorithm, which translates to a huge efficiency advantage for GeoVision’s customers. GeoVision’s GV-VMS solution can record up to 64 channels of content from GeoVision and/or third-party IP devices. It comes with a variety of intelligent video analytics to offer precise monitoring and to reduce the need for manual supervision. The built-in Webcam Server lets users remotely access live view and recordings from anywhere using Web browsers, a mobile app, and a Remote ViewLog. Compatibility with GV-CMS, plus interoperability with a wide selection of third-party IP cameras through ONVIF* and PSIA*, make GV-VMS a versatile and effective surveillance solution. Intel® VTune™ Amplifier is a performance profiler that helps developers create faster code, with accurate data and low overhead. It provides data on CPU, GPU, FPU, threading, memory, and more. Intel® Math Kernel Library (Intel® MKL) optimizes code with minimal effort for future generations of Intel® processors. It’s compatible with a wide choice of compilers, languages, operating systems, and linking and threading models. GeoVision uses Intel C++ Compiler plus OpenMP, which outperformed the results with Microsoft Visual C++*. GeoVision’s video management software is adding deeplearning-based video analytics features specifically coupled with the NVR platform based on 6th generation and above Intel® Core™ processors. GeoVision found Intel VTune Amplifier to be a useful profiler for comparing its used software instrument measurement. By adopting Intel MKL to replace BLAS*, GeoVision gained another 10x performance increase for its deep-learningbased facial recognition algorithm. GeoVision uses Intel MKL to replace the critical matrix multiplication operation of DNN, resulting in the significant performance increase. Figure 1 shows the improved processing time. GeoVision is continuing to work with Intel on continuous improvement for its compound algorithms with help from Intel C++ Compiler, Intel VTune Amplifier, and Intel MKL, all part of Intel System Studio. This powerful tool suite is helping to optimize their critical development tasks through a side-by-side support experience. Looking ahead, GeoVision has also begun using the OpenVINO™ toolkit, a comprehensive toolkit for developing and deploying computer vision and deep learning solutions, to optimize IoT video workloads based on Intel® architecture. This includes heterogeneous CPU, GPU, FPGA, and ASIC platforms. Intel is helping GeoVision use the OpenVINO toolkit to perform sophisticated, deep-learning-based video analytics in various scenarios. GeoVision eventually plans to deploy their code in production using the Intel OpenVINO toolkit. Benchmark results were obtained prior to implementation of recent software patches and firmware updates intended to address exploits referred to as “Spectre” and “Meltdown”. Implementation of these updates may make these results inapplicable to your device or system. microprocessors. Please refer to the applicable product User and Reference Guides for more information regarding the specific instruction sets covered by this notice.